If your kid is anything like mine, their closet is probably filled with one-piece, romper-style pajamas. They’re cute. They’re warm. But they’re not practical. Sure it’s great having one piece because you don’t have to worry about matching outfits or losing one piece of a coordinating set (my husband ALWAYS reaches for a one-piece when he’s in charge). It makes laundry a little simpler. 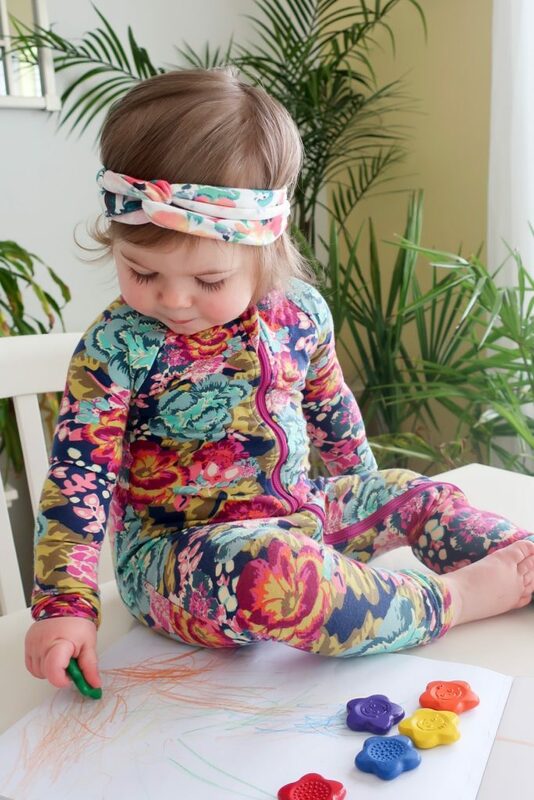 But kids of romper-wearing age are typically also of diaper-wearing age. In order to check if a diaper needs to be changed (when the sniff test is questionable) you have to completely undress your child to get at the diaper in question. Or when you KNOW that diaper has to be changed, same thing, you’ve got to strip them down because the zipper is at the top. It’s not always a big deal, unless it’s a middle-of-the-night diaper change, a mid-nap diaper change, you’re in public, or your toddler (like mine) turns into an MMA fighter when it comes to getting dressed…okay, it’s usually a big deal. And the footie versions of these jammies work great to keep those tiny toes warm, but the little grippy bottoms? Useless. I swear they just make it worse. My daughter looks like she’s on ice when she hits the kitchen floor. Enter the Simplesuit by Nash & Cally. Suspect that a diaper change may be necessary? Use the Peek-a-Poo opening in the back to sneak a peek! If you do indeed need to change a diaper, the two-way zipper allows you to zip up from the ankle so there’s no need to fully undress. 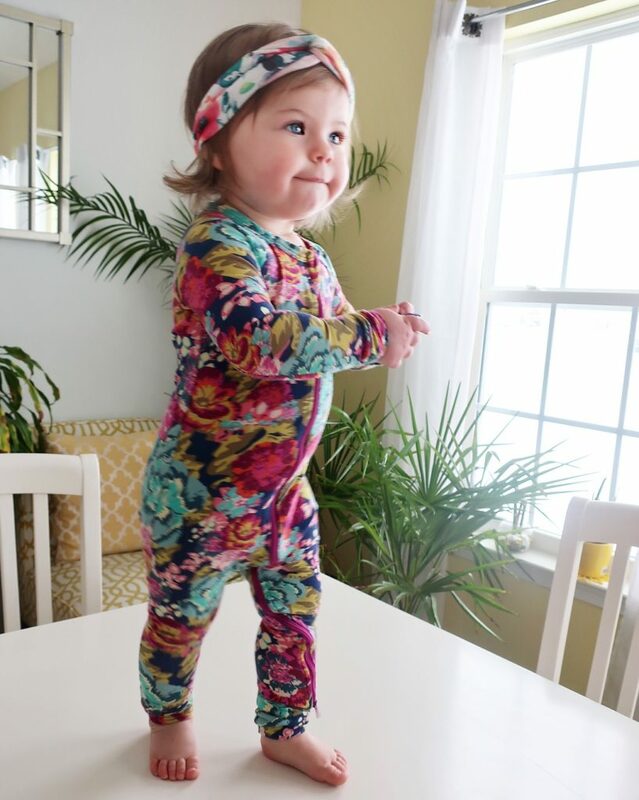 The fold over cuffs at the foot openings create a footie pajama for warmth while sleeping and can easily be folded back when you don’t need them – you know, so you can have a pre-bedtime dance party without slipping. 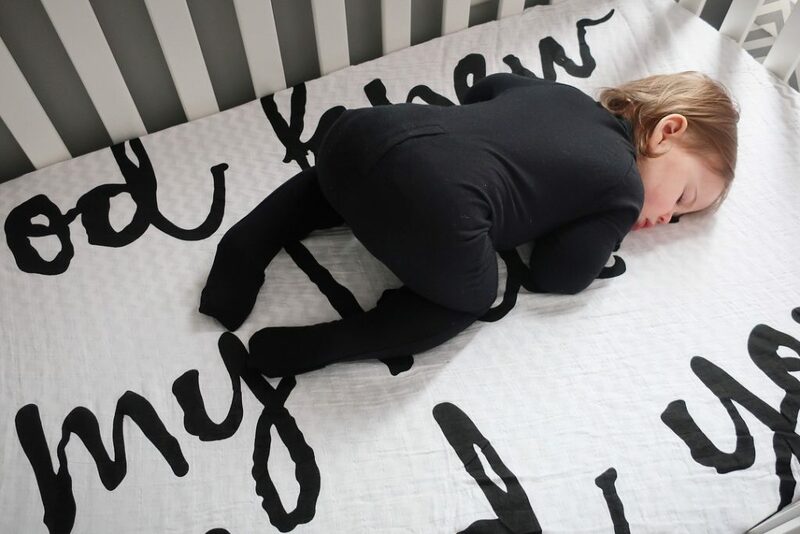 The 0-9 month size also has cuffs at the wrists for little babes who might accidentally scratch while sleeping. There are several bright bold patterns (like this dreamy one, aptly named Floral Dream) as well as a more gender-neutral black solid option to choose from. The Simplesuit is made right here in the USA and is a mix of cotton (95%) and spandex (5%), providing just enough stretch for comfort while complying with all Consumer Product Safety Commission’s tight-fitting garment regulations. The Simplesuit retails for $44. Be sure to follow Nash & Cally on Instagram and Facebook for sales, promotions and giveaways. Nash & Cally generously provided us with the Simplesuits featured here for free in exchange for our review. All opinions are my own and are 100% honest. 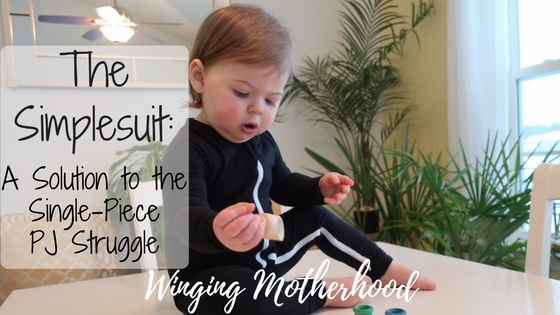 Welcome to Winging Motherhood! 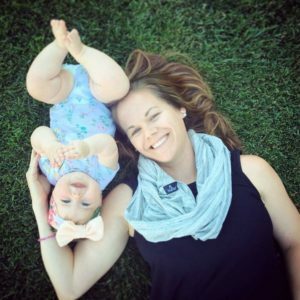 I’m Misty…wife, mom, physician assistant, runner, momtographer…and I’m totally winging it as a mom. I didn’t always wing it. In fact, I have never been able to just ‘wing’ anything. But when it comes to motherhood, there’s really no other way. We’re all just doing the best we can to keep our tiny humans alive. So if you feel like you’re winging it too, you’re in good company. 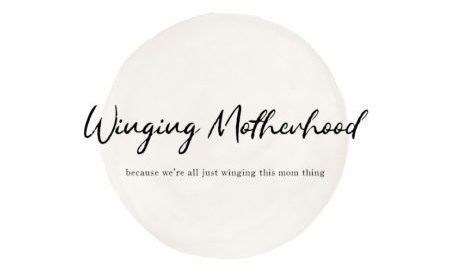 Subscribe to the Winging Motherhood mailing list and get the latest posts delivered right to your inbox.